Find there MissingTranslation and change its Severity to Warning. You should disable the : "Run full error check when exporting app and abort if fatal errors are found". "Window" > "Preferences" > "Android" > "Lint Error Checking"
"Run full error check when exporting app and abort if fatal errors are found". 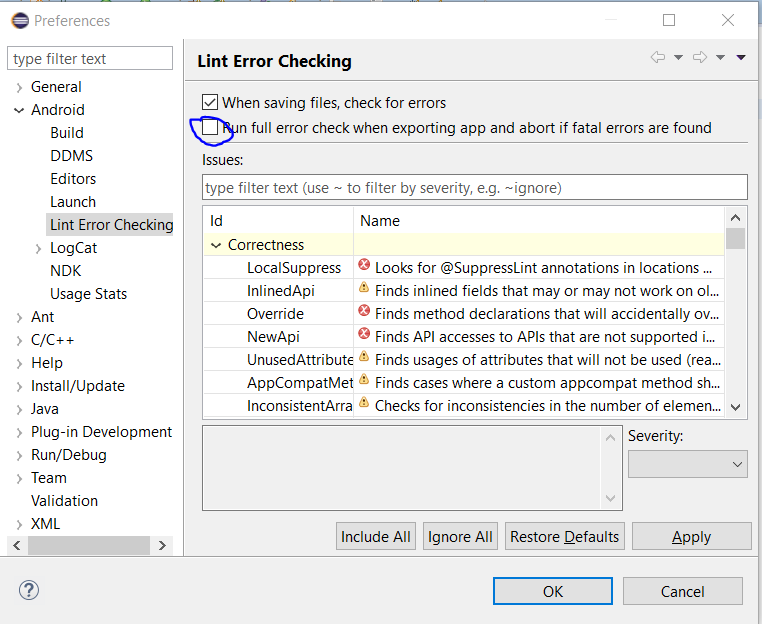 The error is thrown by a check called lint which checks every dependency and guesses you want your app to be translated into all language the libraries you use are translated, in case of maps basically everyone. 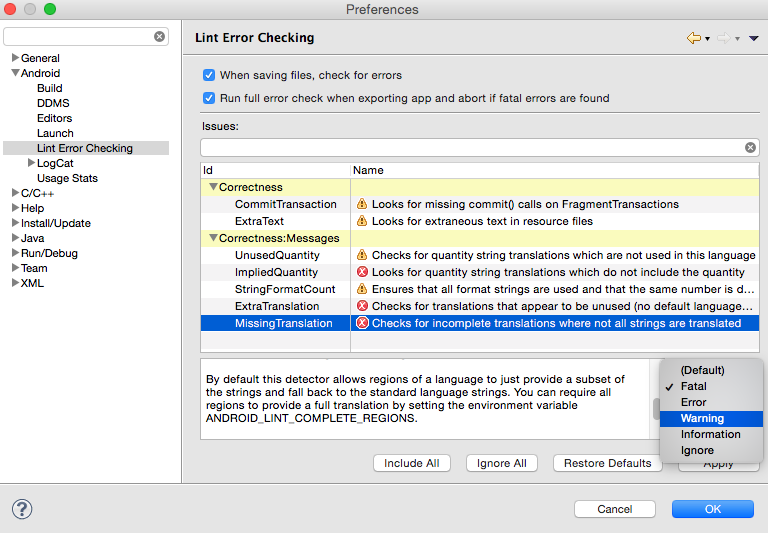 There is some setting for lint in the Eclipse preferences(Missing Translation). You could completely turn lint off or configure it so it ignores the translation warnings. Just click the Checkbox dropdown icon near AVD Manager . Then Select Clear Lint Warnings. That will fix it. You can write translation of the text to "Translations editor". Not the answer you're looking for? Browse other questions tagged android translation or ask your own question.